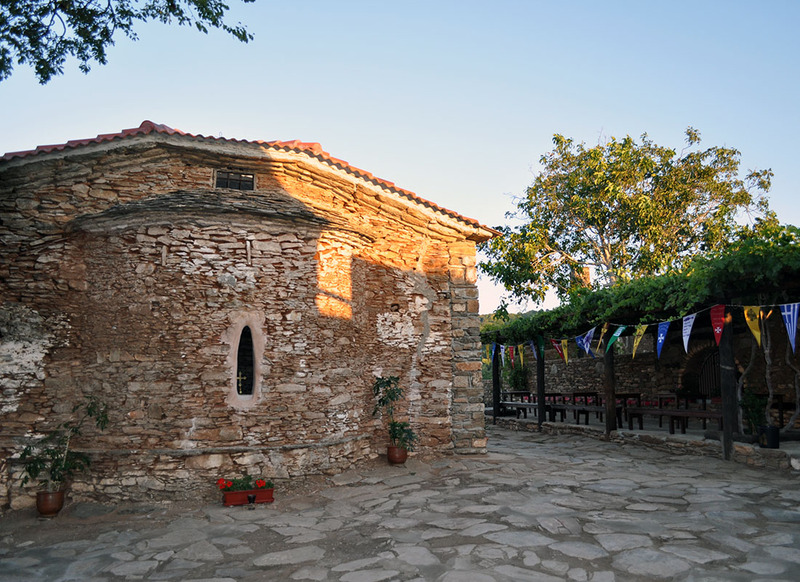 The Holy Monastery of the Honorable Forerunner near Anatoli of Agia was founded by the monk-martyr St. Damianos around 1550 AD, when he organized a cenobitic monastic community as he continued his ascetic contests in a cave along the gorge opposite the monastery. 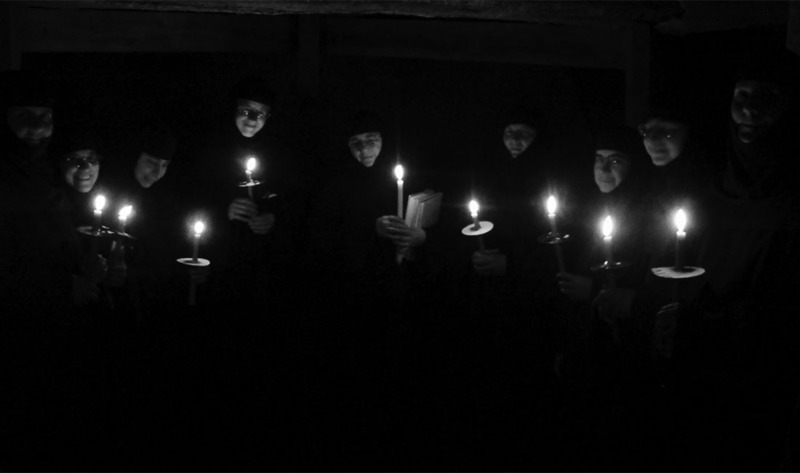 The Monastery's living tradition extended up until World War II, in the course which it was damaged and finally deserted. 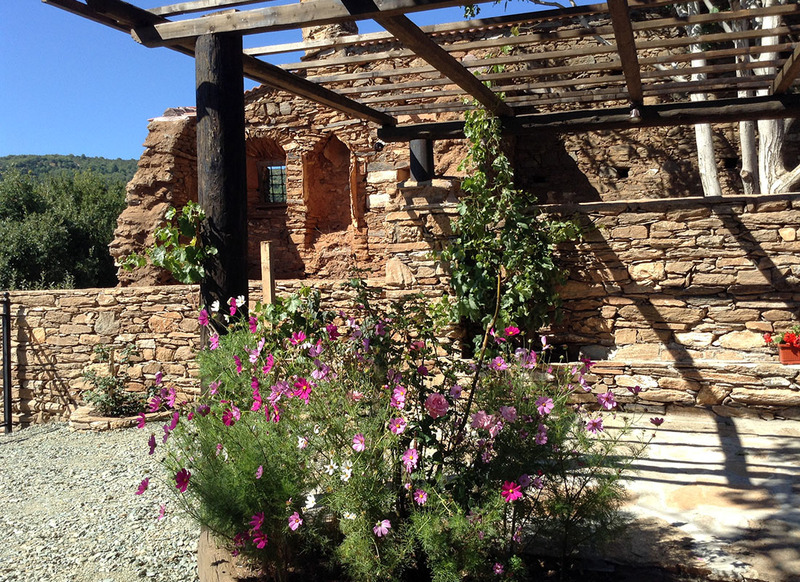 In 1980 AD, monks from the Holy Mountain began to build a new wing near the late Byzantine original building complex, but were forced to abandon the effort just a few years later. 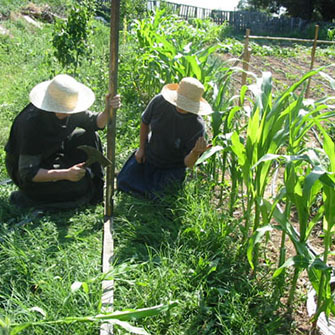 In July of 2000, a multinational women's community from the Holy Hesychasterion of the Apostle Paul in Lavrio of Attiki undertook the restoration of the Monastery. 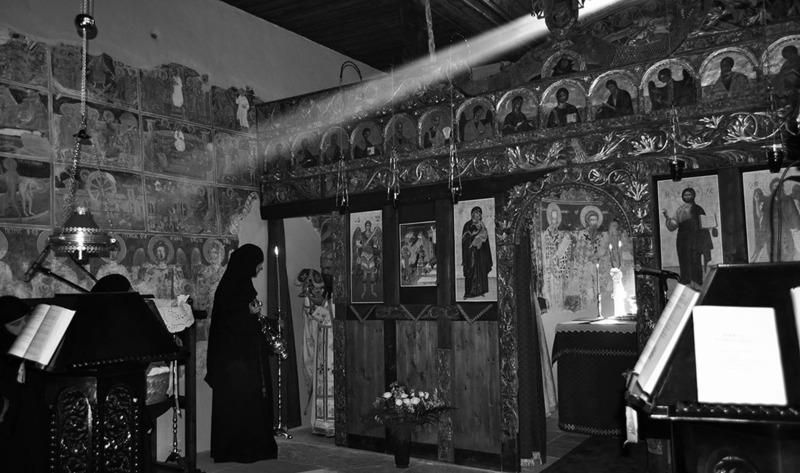 The multiethnic monastic community enables a special kind of missionary work, and at the same time demonstrates in practice that, in essence,in the Orthodox Church there is no discrimination on the basis of language, race or gender. 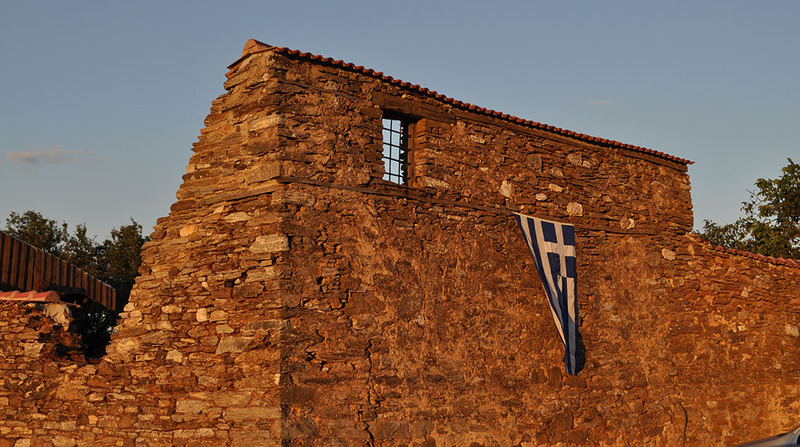 Much has been accomplished, but large portions of the "Old Monastery" still await restoration, and one level of the new building is as yet unfinished. 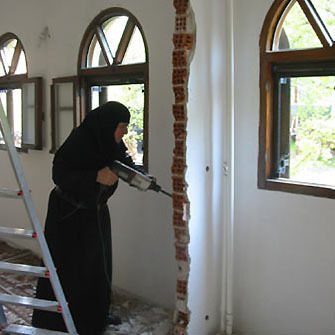 The restoration and reconstruction of areas within the Holy Monastery is accomplished with much labor on the part of the nuns. 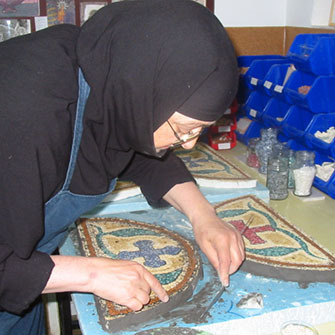 The nuns also practice "liturgical arts" (icon-painting, sewing vestments, etc.) 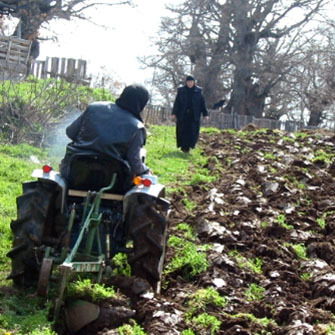 and, in parallel and particularly intensively, traditional gardening and livestock-raising.